Božidar Vidoeski (1920–1998) was the father of Modern Macedonian dialectology. Not only did he publish numerous studies of individual dialects but also broader syntheses that superseded all previous attempts and that remain to this day the foundations of Slavic dialectology on Macedonian linguistic territory. 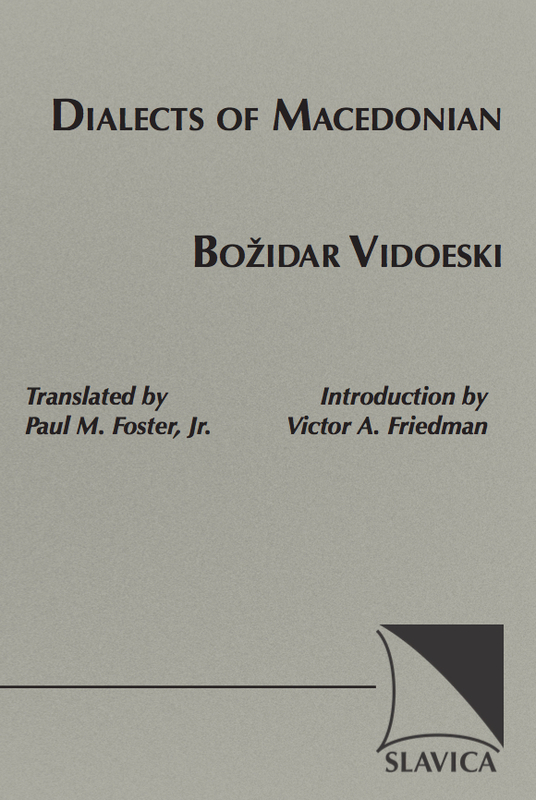 The present collection contains translations of eight of Vidoeski's most important general Macedonian dialectological works, as well as his complete bibliography. It can thus serve as a basic textbook for any course that deals with Macedonian dialects but is also a fund of information and analysis for any scholar interested in the Macedonian language. The articles translated for the present collection span the period from his classic article on Macedonian linguistic geography ("The Dialects of Macedonian in Light of Linguistic Geography", 1962) up to the fruits of a lifetime of studying and thinking about Macedonian dialects: a general overview of Macedonian dialectal differentiation ("The Dialectal Differentiation of the Macedonian Language", 1996) and a study of Macedonian vocalic systems ("The Vocalic Systems of Standard Macedonian and the Dialects of Macedonian", 1997). Taken together, these eight articles give a masterful overview of Macedonian dialectology by the master of the field.